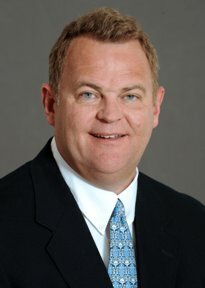 David Doctor, President and CEO of E4 Carolinas is an award-winning business builder and leader. He was previously a Director of Duke University’s Energy Initiative. David has co-founded or led seven companies, most of which were energy companies. He grew EnTrade Corporation, a natural gas marketing and trading company, to more than $1 billion in annual sales over eight years and Genscape, Inc, an energy information company, from R&D to international operation in 30 months. Dr. Bartosz Wojszczyk, Bartosz is an accomplished c-level executive, investor, entrepreneur, visionary and innovation spokesperson with over 22 years of global experience working for utilities, academia, start-ups and Fortune 500 companies, including GE, Accenture, First Pacific, Quanta Services, Legrand and others with revenue totaling $2 Billion annually. He now serves as the University of North Carolina at Charlotte Energy Production and Infrastructure Center’s Assistant Director-EPIC Grid Modernization Cluster and a Professor. Wayne Cooper was born and raised in Oklahoma. He moved to Charlotte North Carolina in 1976 after living in Mexico for several years. 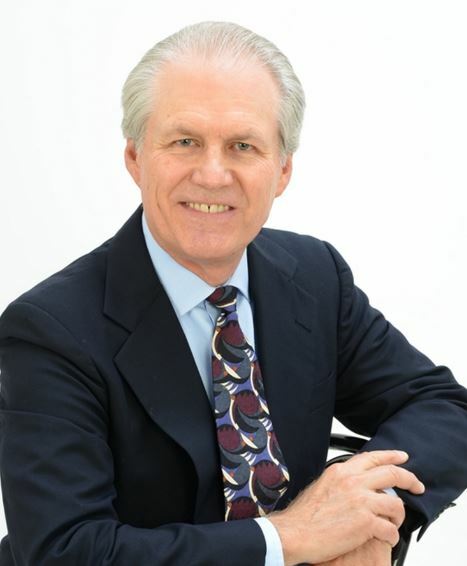 With more than 40 years of International business experience, Cooper founded TelecommUSA. He grew that business and successfully sold it in 2005 to Euronet Worldwide (NYSE, EEFT). In 2007, he co-founded Processa International, which is an international bill payment company, and successfully sold that to NetSpend (NYSE, NTSP) Austin Texas. 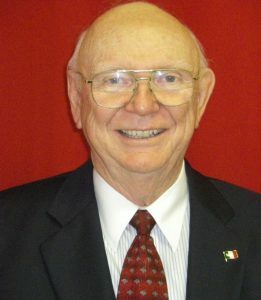 1981-present, Cooper was appointed by President Lopez Portillo to position of Honorary Consul of Mexico. He is currently working on scholarships for needy Latino Students. Paul Taylor is the Commercial officer at the U.S. Commercial Service in Raleigh, North Carolina. He brings more than 20 years of experience promoting U.S. commercial interests in Africa and China. He last served as the Trade Attaché at the U.S. Embassy in Accra, Ghana. He works with North Carolina-based colleagues to counsel exporters on opportunities in developing overseas markets. 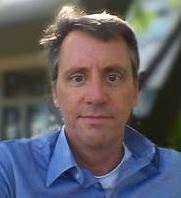 Steven McDonnough is Chief Executive Officer of PGP Energy Services, a global energy developer based in the Carolinas. They provide emerging market private entities and government agencies turn-key power generation solutions. Their approach ensures the efficient delivery of all equipment, services, and financing required based on project specification, size and location parameters. Supported by ProGlobalPartners’ sales and operations teams, represented in over 35 countries, PGP Energy Services has the capabilities to work across multiple forms of traditional and renewable energy mediums. Eric Henderson served as Commercial Attaché for the U.S. Government while at the World Bank, where he helped U.S. companies pursue and secure some of the $25 Billion in projects financed annually by the World Bank. Additionally, he served as the U.S. Commercial Service Liaison to the African Development Bank. While with the US Department of Commerce, Henderson served as Country and Regional Manager for Latin America and the Caribbean with the Advocacy Center, a Special Task Force that assists US companies to coordinate US Government resources and authority. Lauri Elliott has over 25 years of experience in strategy, innovation, organizational development, change management, human performance technology, business process re-engineering, instructional design, and technology. In addition, Lauri has over 13 years of in-depth business and strategy experience in developing markets, particularly Africa. As the head of Afribiz Group, Inc. and The Afribiz Foundation, Lauri assists small/start-up to large companies to develop strategies and new projects/new ventures, focusing on early stage development, pre-transaction activities, and funding, in Africa. Blake Jackman is he International Trade Manager for the North Carolina Economic Development Partnership. 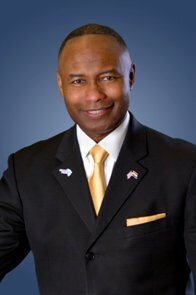 Previously, Mr. Jackman previously served as a Vice President for Bass Industries and served with the North Carolina Department of Commerce. Greg Sizemore Leads U.S. Department of Commerce’s export promotion team of nine professionals in North Carolina. In charge of new business development and creation of private-public partnerships, as well as budgeting, annual strategic planning, and media outreach for the U.S. Commercial Service’s U.S. Export Assistance Centers in Charlotte, Greensboro and Raleigh. 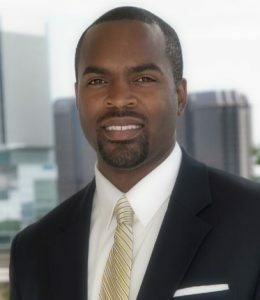 Sherrod Seward is the President of Business Development for Plug Finance Hub and works from the firm’s Charlotte office. In addition to his role as a trade finance consultant, Sherrod is a practicing attorney and a licensed trade credit insurance broker. Sherrod’s primary role is to help companies obtain finance solutions with government agencies such as the Export-Import Bank, structured trade solutions with development banks, and asset-based lending facilities with private trade finance groups. While Sherrod is based in Charlotte, he services the needs of exporters around the world and regularly works with international trade officials from across the nation to provide finance expertise. Daniel Anagho is the President and founder of the African Investment Corporation (AiC). Founded in 2003, the AiC is a global business consulting and investment firm that is deeply committed to uncovering and promoting Africa’s business potential. Its mission is to enable entrepreneurs in Africa and other emerging markets to succeed at all stages of business growth, from conception to exit. We specialize in strategic management consulting, investment, and project development. Drew Bennett has over 10 years of experience working in government, non-profits, and the private sector on policy, economic, and business issues impacting global technology and energy markets. 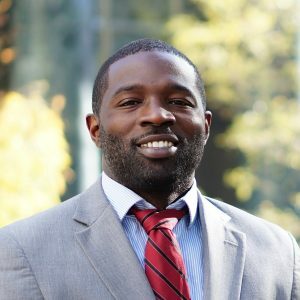 As a member of Power Africa’s Partnerships Team, Drew works with energy companies and investors who have committed more than $43 billion to advancing the development of the power sector and enabling electricity access in sub-Saharan Africa by adding 60 million new electricity connection and 30,000 megawatts of new and cleaner power generation. Before joining the Power Africa team, Drew spent 7 years at the Department of Commerce as a senior trade specialist and industry analyst. Benjamin Todd has worked at Ex-Im Bank for over seven years and oversees a portfolio reaching $7 billion. In the seven years Ben has worked at Ex-Im Bank, the portfolio has grown its annual credit authorizations from $500 million in 2008 to over $2 billion in fiscal year 2014. 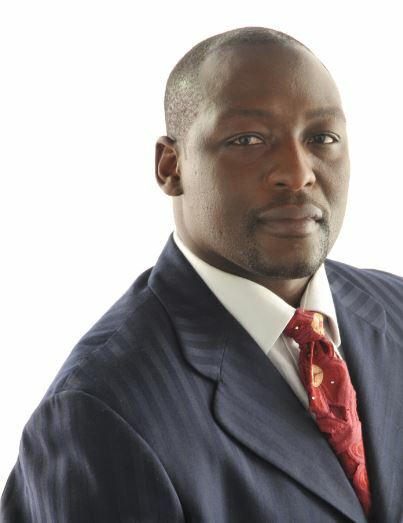 He has assisted in the origination and underwriting of both small and large transactions in over 44 countries across Africa. Prior to Ex-Im Bank, Ben worked in the budget and finance office of the U.S. Federal Aviation Administration (FAA) analyzing large aviation capital improvement projects. Prior to the FAA, Ben was a Peace Corps volunteer in Lesotho and directed a community and technology project in Hartford, Connecticut. 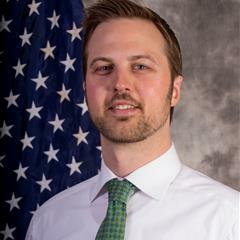 Brian Whitesides is a Director in the Renewable and Clean Energy Group at the Overseas Private Investment Corporation, the U.S. Government’s Development Finance Institution. Mr. Whitesides is responsible for counseling U.S. firms pursuing energy investments in emerging markets, evaluating financing proposals, and developing and structuring loans for renewable energy projects globally, with a specific focus on Sub-Saharan Africa as part of the Power Africa Initiative. Prior to joining OPIC, he served as a Director of the Energy and Structured Finance division of Clark, one of the largest real estate and construction companies in the country, making equity investments in solar and natural gas projects. Clifton Vann IV is CEO of Hyde Park Partners (HPP), the holding company for Livingston & Haven, MRO Stop, AEG International (AEG) and McGinnis & Associates Sales & Service (MASS). Clifton was named CEO in 2015 after having served in various other capacities within the company since 1982, most recently as President of Livingston & Haven from January 1999 to May 2014. Clifton was tapped to oversee the day-to-day strategy and operations of the four different HPP subsidiaries, which generate $75 million in annual sales, due to his visionary approach to the world of industrial manufacturing, technology, design and engineering. James Thomas Skinner, III (“Tod”) has over 35 years of experience and knowledge gained while working with Hyde Park Partners in varying capacities. He is currently the President of AEG International, LLC, a company wholly owned by Hyde Park Partners, Inc. Tod began his career in 1981 working with the Apogee Systems division of Hyde Park Partners, which developed and sold ERP software systems. Tod rose through the ranks of that group to become the President of Apogee Systems until 1995 when the unit was re-oriented to focus on internal, strategic software development for Hyde Park Partners. Kevon Makell is the Founder, Chairman, CEO, & President of SEWW Energy Incorporated where he leads the company’s global operations to deliver sustainable Smart Micro and Macro Grid Development and Integration internationally. Mr. Makell has over 30 years of experience in the energy, technology and construction industries. He successfully completed both small and large-scale projects throughout the US, Bermuda, Caribbean, Latin America and Africa, including a $6.4 billion nuclear facility in The US.